K’s House Kyoto is a modern hostel that delivers exactly what it promises. While it is further from Kyoto Station than other hostels, once you’re settled in, it’s very easy to get around. There is a good variety of room options available at affordable prices. However, a lack of privacy curtains in dorm rooms and a lack of an eleveator can be a serious inconvenience. The amazing service and facilities is where K’s House shines. There are fantastic amenities for guests. While the prices are cheap, I find I don’t get as good a rest here as I do at other Kyoto hostels. K’s House Kyoto: Is It Worth It? No wonder K’s House Kyoto is so popular! Since 2003, the hostel has been winning fans for its combination of modern design, affordable accommodation, and amenities for travelers. Billing itself as reasonably priced New Zealand style accommodation, K’s House was designed as a hostel from the start, giving it an edge over its close competitors. While the smaller number of guests at J-Hoppers and Hana Hostel Kyoto make it easier to interact with their Japanese guests, K’s House Kyoto is the place to go for international socializing. There are two common lounges, common kitchens, a TV room, and two rooftop terraces available for all guests to use. K’s House even has its own cafe, which doubles as an event space. There are live music performances, art and photography exhibitions and, depending on the season, they throw some awesome parties as well. The colorful bulletin board in the reception area has easily digestible information about Kyoto’s attractions, while the message board makes it easy to keep in touch with your newfound friends. It’s easy to see why K’s House has won best hostel in Kyoto multiple times. K’s House Kyoto occupies two buildings, and is a 9-minute walk from Kyoto Station. Accommodation ranges from dormitory style rooms to private single, twin, double and triple rooms. All rooms are equipped with air conditioning. The hostel staff have excellent English, and are experienced travelers themselves, able to give advice about getting around Kyoto and beyond to their guests. 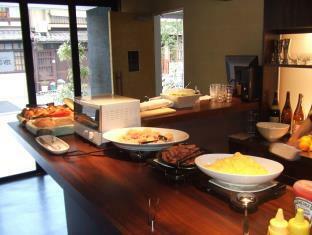 You can choose to cook your own meals by using one of the hostels two common kitchen areas or eat in the hostel cafe. The cafe offers a one-plate breakfast for 500 yen (an example breakfast might be toast, banana, scrambled eggs, sausages, salad, and yogurt, with your choice of tea, coffee or orange juice), and a small selection of snacks and light meals. From 5:00pm the cafe turns into a bar, selling craft beers and cocktails. K’s House has a number of conveniences for travelers, including pay phones, common computers (100 yen per 30 minutes), laundry facilities, and free Wi-Fi throughout the building. 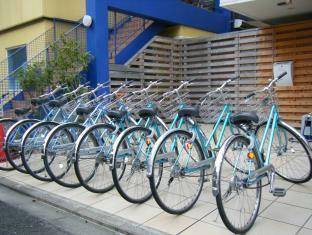 Bicycle rental is also available. Rent a bike for 100 yen an hour or 700 yen for the day. Check-in is from 3:00pm – 11:00pm, and check-out is 11:00am. There is a luggage storage room if you need to leave your bags somewhere before or after checking in. The reception is open from 7:00am – 3:00am. K’s House is Kyoto is located on the North side of Kyoto Station. It’s very convenient in terms of transport. 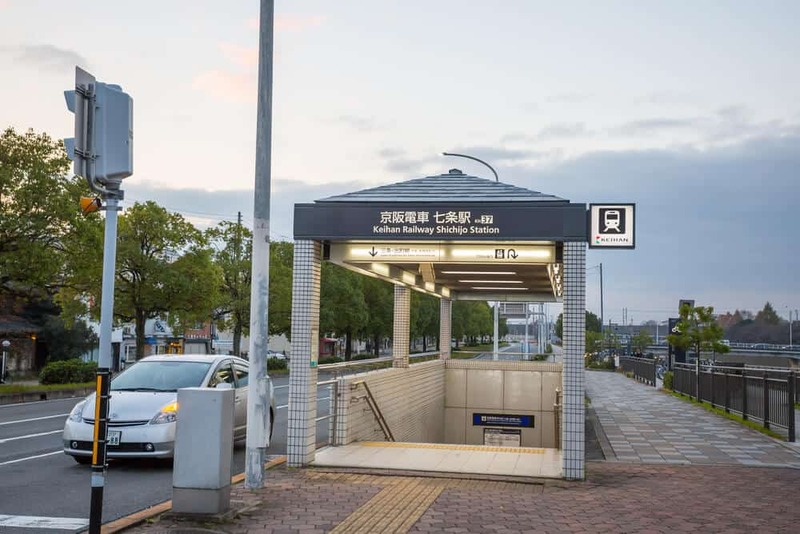 Only a 9-minute walk from Kyoto Station, the hub of the JR trains, and 4 minutes away from the Keihan Shichijo Station. If coming to K’s House from Osaka, the Keihan Line is a better choice than the JR. 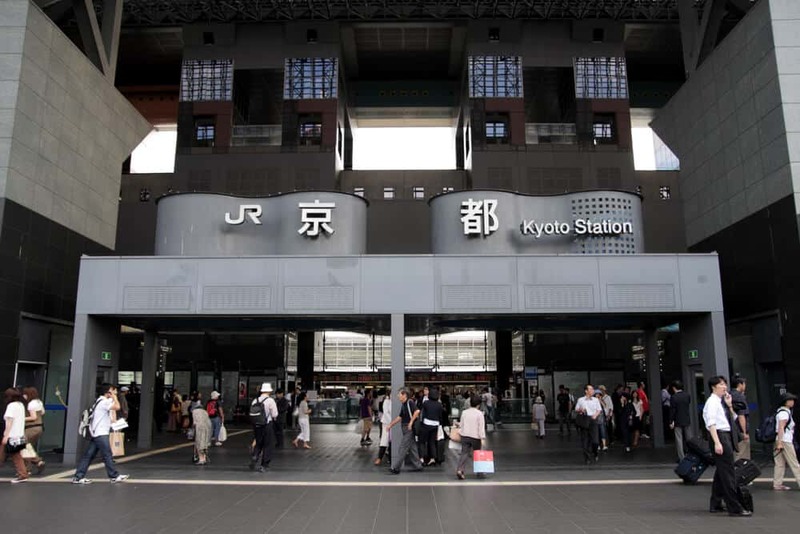 Being located close to both JR and Keihan railway stations makes it easy to get out of Kyoto to explore Nara, Osaka and Kobe. 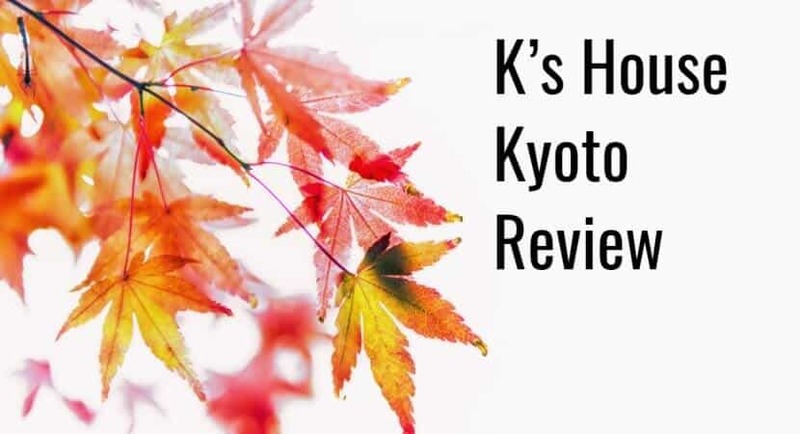 For getting around Kyoto, you can rent a bike or take advantage of the city buses going to Kinkakuji, Gion, and Kiyomizudera, which travel down the main road close to K’s House. There are numerous restaurants and cafes located close to K’s House Kyoto, including Veg Out, a vegan restaurant. *Note: Japanese standards of veganism may not be what you expect. Ask if you’re not sure about the menu. There are convenience stores, fast food, a supermarket and a public bath all walking distance from the hostel. K’s House Kyoto is also an easy walk from Shosei-en Garden, Sanjusangendo (a temple famous for its thousand and one statues), and the Kyoto National Museum. ntinue past Kyoto Tower, until you reach a busy intersection with a Lawson on the right corner and a Sukiya restaurant on opposite side. Turn right here onto Shichijo Street. Continue down Shichijo Street for three sets of traffic lights. After the third light, take the next left down a narrow street. You’ll see K’s House, a six-story white building on the right. Both the airport limousine and highway bus terminals are on the South side of Kyoto Station. 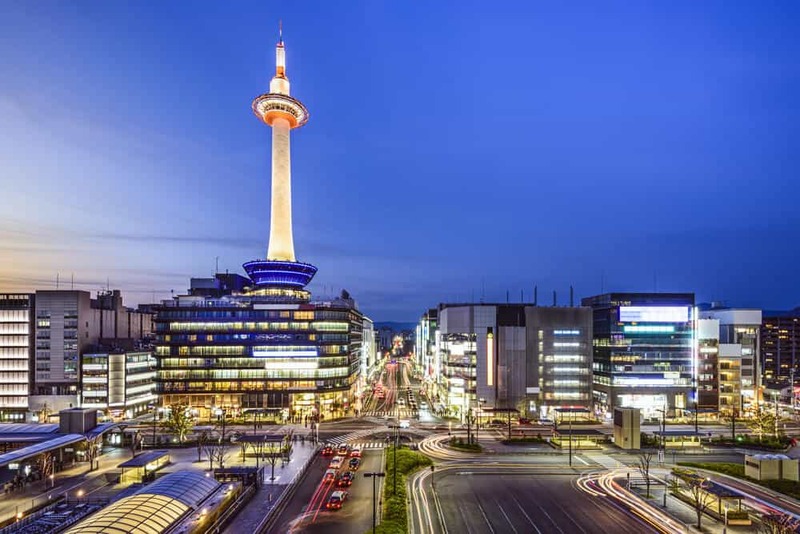 Take the underground walkway to the North side of Kyoto Station, and then head towards Kyoto Tower. Once you’re there, continue past Kyoto Station, until you come to the intersection described in the directions above. Use the directions above to reach the hostel. Take exit 3. You’ll find yourself on the banks of the Kamo River with a bridge in front of you. Cross the bridge. Continue walking straight down Shichijo Street. Soon after passing a laundromat, turn right down a narrow street. K’s House is the six-story building on the right. Take bus number 100, 206, or 208 and get off at Keihanmae Nanajo stop. Cross the bridge, following the directions above for Shichijo Station. Most travelers come to K’s House for budget accommodation, and the dormitories are the cheapest options. The dormitories consist of four or six-bed mixed or female-only rooms, or an eight-bed mixed room. Dormitory beds are custom made bunk beds, with sturdy ladders and built-in storage space. A reading lamp is attached to each headboard, and there are clothes hangers available. Unfortunately, the lack of privacy curtains means that you are dependent on the good behavior of your dorm-mates to get quality sleep. I recommend buying an eye mask and earplugs to ensure the best possible sleep. The single room is a narrow room with one bed and some storage space. You have a choice between the basic single (100 cm wide bed), or the standard single (140 cm wide bed). The basic twin room contains a bunk bed, suitable for two people. The standard twin has a two-person bunk bed and a sofa that can be turned into a bed, making the room a triple (an extra charge applies). The double room is a basic room, similar to the single room, but containing a double bed. There’s also the option of a DX double, which includes an ensuite bathroom and TV, and the triple room, containing a set of two bunk beds and a single bed. The Japanese style room can sleep from 2 – 4 people, with a flat rate applying for the whole room. Note: Fresh linen is provided upon check-in, and guests make their own beds. When checking out, take your used sheets and pillowcases with you to the reception desk. During periods of high demand, K’s House Kyoto’s accommodation prices can be raised by 300, 500, 700 or even 1,000 yen per night. The lowest and highest possible prices for each room will be quoted below. All prices are per person per night, except where stated. I recommend checking out Agoda or Booking.com for the best price. Twin Room Standard: 3,450 – 4,450 yen (for a third person add 2,700 yen). K’s House Kyoto’s main selling point is its communal spaces. The common rooms and kitchens are open 24/7 for guests. The common rooms are particularly well stocked with a variety of seats, including Japanese style tatami matting and cushions. There are numerous tables, and guests have commented that if you spend even a few minutes studying a map at one of them, you’re guaranteed to get an offer of help from someone, whether a staff member or fellow guest! There are also verandahs where it is possible to smoke, and a rooftop terrace, which closes at 11:00pm. The common area is stocked with complimentary tea and coffee. The kitchen has basic seasonings available, and room to store your ingredients. During the morning, there is often a run on the toasters, and you may have to wait to make your breakfast. The cafe is another main draw. It is open from 8:00am – 12:00am, with coffee from 280 yen. The menu is small but cheap, with the most expensive item being a small pizza for 600 yen. Happy Hour is 5:00pm – 7:00pm, where the draft beer is 350 yen. Half price hour: 9:00pm – 10:00pm sees all cocktails and draft beer reduced in price. All of K’s House Kyoto’s rooms with the exception of the DX doubles come with shared showers and toilets. The showers and toilets are located on every floor. The laundry room has washers and dryers available for 300 yen. They are in high demand, especially during the evenings. Either wash your clothes during the day, or go to the laundromat around the corner. Only one of K’s House’s two buildings has an elevator, so if mobility is an issue for you, be sure to mention it when you make your booking. Since bunk beds in the dormitory are claimed on a first-come, first-serve basis. To ensure you have a bottom bunk, either talk to the staff or book a private room. 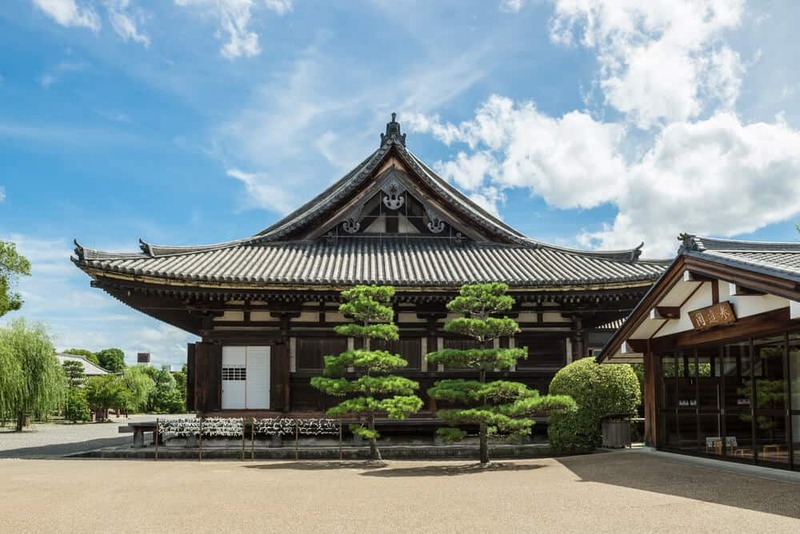 If staying at K’s House, make sure you check out Sanjusangendo Temple. It’s often overlooked by tourists, but the proximity of the temple to K’s House makes getting there easy, and the sight of the main hall, filled by a thousand identical statues is really something to behold.